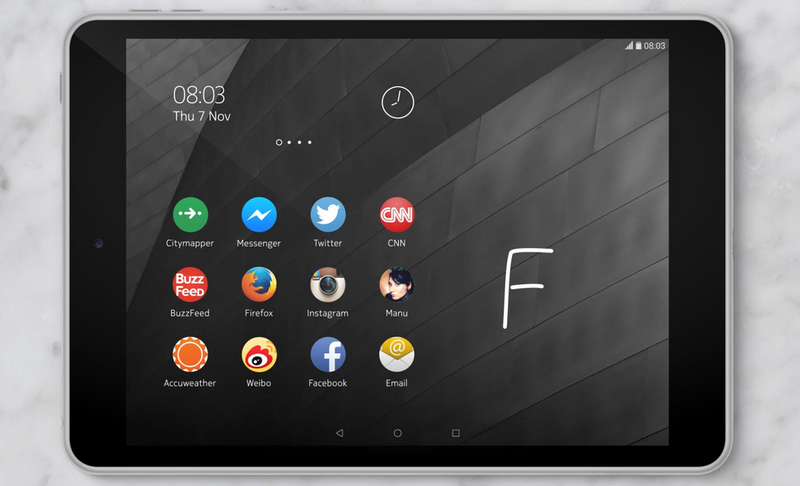 Without forewarning, Nokia unveiled the N1 today, a premium 7.9-inch tablet running Lollipop. It is constructed from anodized aluminum, packs a laminated display and Intel processor, weighing a mere 316 grams. It also comes pre-configured with Z Launcher, Nokia’s homescreen replacement on Android. And did we mention, it’s aggressively priced at just $249? In a word, it is compelling. Nokia did not cut corners in designing the N1, which takes more than a few design cues from the iPad mini (down to the speaker and button arrangement). The tablet sports an entirely metal unibody, which measures a thin 6.9mm. Its internals are similarly uncompromising for a tablet of its class: a 2048 x 1536 resolution display, an Intel Atom Z3580 processor, 2GB of RAM, an 8-megapixel rear-facing camera 5-megapixel front shooter, and 32GB of storage. Uniquely, the N1 will be among the first devices to adopt the reversible USB Type-C connector, a feature we would not mind seeing other manufacturers adopt. The N1 ships running Lollipop, but features Nokia’s Z Launcher. The launcher replacement, which debuted on the Google Play Store in June, tries to intelligently suggest apps and contacts based on your behavior. It also, like Google’s Gesture Search, allows you to quickly find an app by doodling the letter with which its name starts. The tablet will launch in China around February 19 before rolling out to unspecified European countries. Nokia did not give a timeline for North America, so it is probably safe to say the N1 will not be appearing stateside anytime soon. Bummer. Would a Nokia-made Android tablet interest you?